We had a full house on Friday in our church premises in Bockenheim as we gathered together for a time of fellowship and reflection. Looking at the seven last sayings of Jesus on the cross, Richard used the word CROSS to show us how Christ's last words reveal aspects of His life that we are called to follow. It was a special time as we reflected on Christ's life and death and shared communion together. On Sunday we celebrated Christ's resurrection. After a powerful time of worship we ministered to some people in prayer with resurrection power and hope. Richard then shared a message entitled, "The Gospel of Forgiveness" in which he showed us the nature of true forgiveness that involves the 3 stages of death, burial and resurrection. 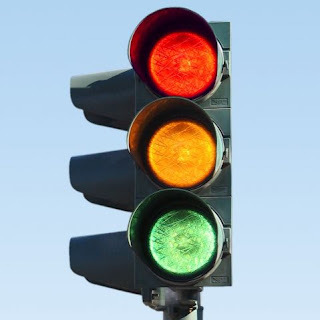 Using traffic lights as a symbol and a reminder of true forgiveness, we saw how Christ's death, burial and resurrection is the essence of the Gospel: the good news of God's forgiveness through Christ. The red light symbolises death: choosing to separate oneself from the one who has sinned against you. The yellow light symbolises burial: you hold onto the offense and bury it your heart. The green light symbolises resurrection: I bring up past wrongs to get you back. In response to the revelation of the nature of God's forgiveness through Christ, we took communion together and were encouraged to receive God's forgiveness and to forgive others in the same way God has forgiven us in Christ (see Mat 6:15; Lk 11:4; Col 3:13).